So there I was this afternoon standing in the kitchen munching on a few plain M&M's when it hit me. I group the candy by the colors and then eat them. I guess some time I thought about it but never really thought about it. I then tried another tiny handful to see if I could just eat them all together. It was a mental struggle there was no way it was going to happen. I ended up grouping them again before I could eat them. How you eat your M&M's?! 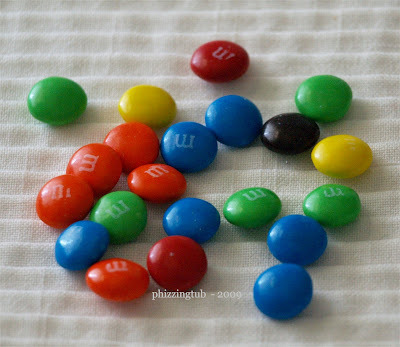 Do you group them by colors and then eat them? Toss them all in at once? One of each color at a time? I am really listening and want to know.